Located in Western New York, we are 1 hour from Buffalo and Rochester, and within the local vicinities of Amherst, Williamsville, Grand Island, and Lockport. Windy Acres is a small farm dedicated to stewardship of the land, using sensible and sustainable methods. That means we strive to create a healthy microenvironment in the soil, attracting beneficial insects and avoid the use of chemicals. Using the land diversely insures that we avoid the perils of monoculture. On almost 75 acres of land, we produce seasonal flowers, chickens, eggs, turkeys, and beef cattle. Why us? The highest level of customer satisfaction is our goal and we will do everything we can to meet your expectations. We are confident we can provide you with a seasonal selection of flowers in the colors and varieties you love. We guarantee fresh flowers, picked just before your event, so they last longer, and look better. Looking for beautifully designed wedding flowers? We can design your bridal bouquet, maids’ bouquets, boutineers and corages. We can design lovely table arrangements or if you prefer DIY options, flowers are sold by the bucket and bunches. Our flowers are available by bucket, bunch, and arrangement for special events as showers, parties, or other celebrations, via CSA (Community Sustained Agriculture) where bouquets are purchased by subscription, and directly to local florists. Because our flowers are grown seasonally, they are ready from May through October, and reflect the diversity of annuals, perennials, colors, and varieties that are outstanding for cut flower production. We grow a variety of flowers and foliage, and examples are: are allium, hydrangea, raspberry, dahlias, zinnia, sunflowers, cosmos, aegeratum, burplerum, dianthus, ammi, delphinium, calendula, snaps, dusty miller, marigolds, millet, amaranthus, various grasses and vines, sweet pea, lilies, crocosmia, acidanthera, echinacea, black eyed susan, gladioli, phlox, astrantia, and many, many others. 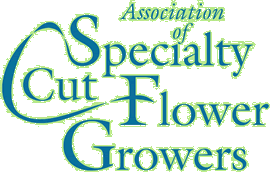 We are proud members of the Association of Specialty Cut Flower Growers. We are supporters of Slow flowers, a national movement to return the focus of growing flowers back to the United States. Currently 70-80% of all cut flowers are shipped in from South America, Africa, the Netherlands, and other European countries. These flowers leave behind a large carbon footprint as they flown into the US. Due to strict American standards to prevent the importation of pests on floral products, these flowers are sprayed with numerous chemicals and pesticides. Flowers are often picked too early to open, and have a lifeless quality. Looking for that elusive and intoxicating smell of flowers, we bury our noses in them looking for a scent that has been bred out of foreign flowers in favor of ease of transportation. Lastly, we share these flowers with our most intimate family and friends, and in our most intimate surroundings at home, perpetuating this exposure.